Indonesia is a sprawling archipelago nation composed of over 17,000 islands. 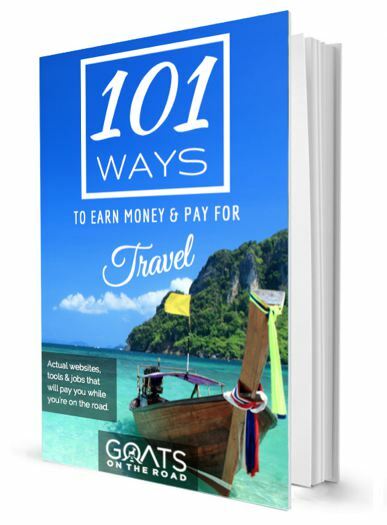 Unfortunately, most travelers only make it to one of them. While Bali is certainly an incredible place to visit, you shouldn’t overlook its neighbor to the east when planning your trip to Indonesia. There are endless amazing things to do in Lombok – scale an active volcano, explore paradisiacal islands, surf epic waves, and so much more. 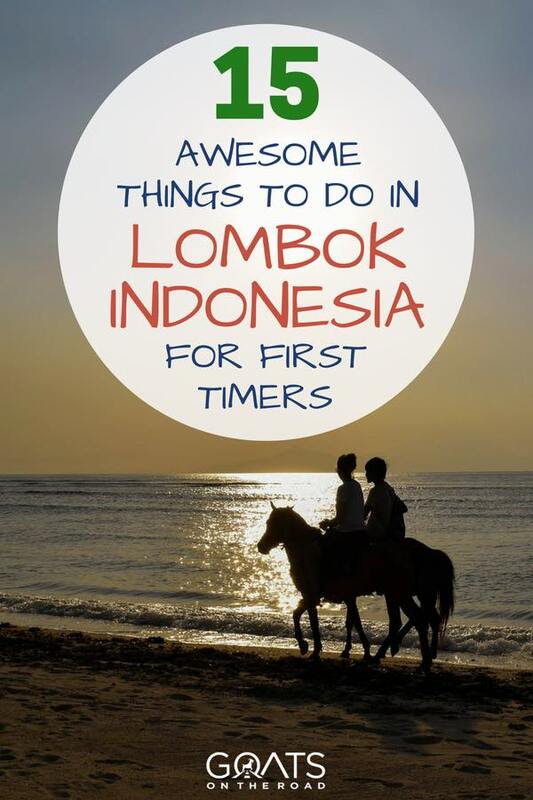 Here are the top 15 awesome things to do in Lombok! Before we get to the sun and sand, it’s time for an adventure like no other. With an elevation of 3,726 m, Mt. Rinjani is the 2nd highest volcano in all of Indonesia. There are several options for hiking Mt. Rinjani, with the most popular being a 3-day trip that includes reaching the summit at sunrise and soaking in natural hot springs. Not a bad campsite for the evening. Trekking Mt. Rinjani is no walk in the park. It’s incredibly difficult and requires a high level of fitness, as well as proper attire and gear. Your tour operator will provide tents, sleeping bags, pillows, and all of your food on the trek. If you’re wondering where to stay in Lombok, sleeping on the edge of a volcano is a pretty cool option. The only thing you need to worry about is your clothing, footwear, and hiking poles if you want them. While it’s a really tough trek, it’s an amazing experience and definitely one of the best things to do in Lombok. Lombok is a great island to explore on two wheels, and there are several options to choose from when it comes to bike tours. You can sign up for a leisurely half day tour to visit local villages and temples or take an adrenaline-fueled downhill mountain biking trip. 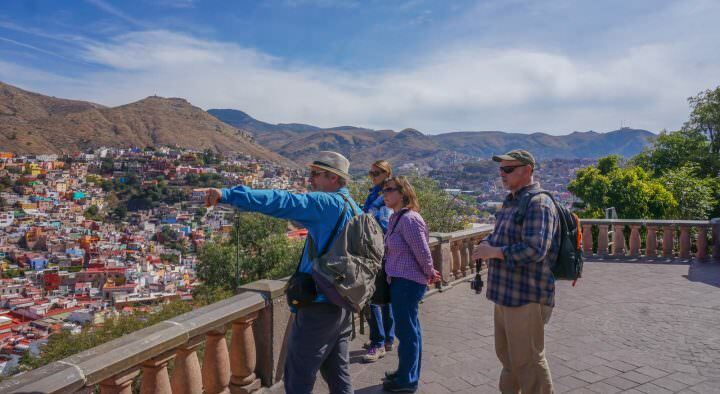 There are even multi-day tours you can join where you’ll spend the day cycling and sightseeing and the nights staying in villages. After trekking and biking, it’s time to kick back and relax. 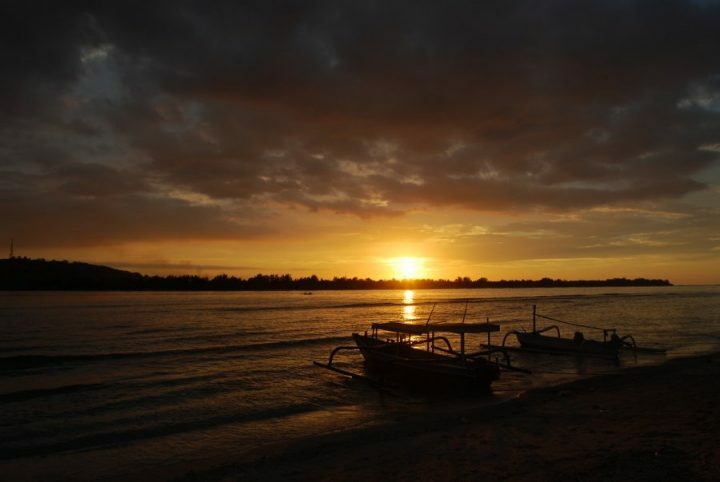 Just off the northwest coast of Lombok, you’ll find the Gili Islands. 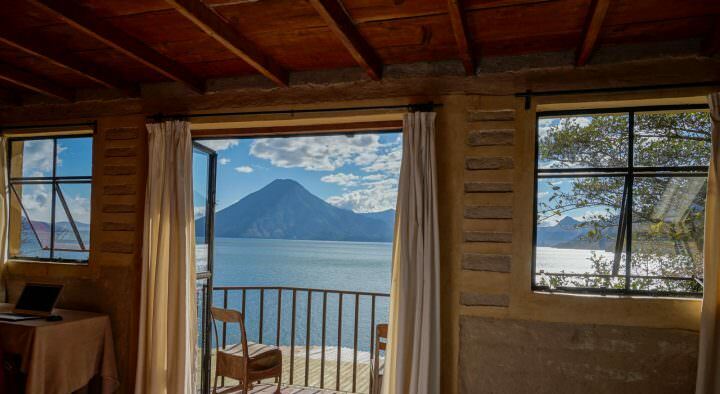 This chain of three tiny islands is the perfect place to decompress after tackling Mt. Rinjani. 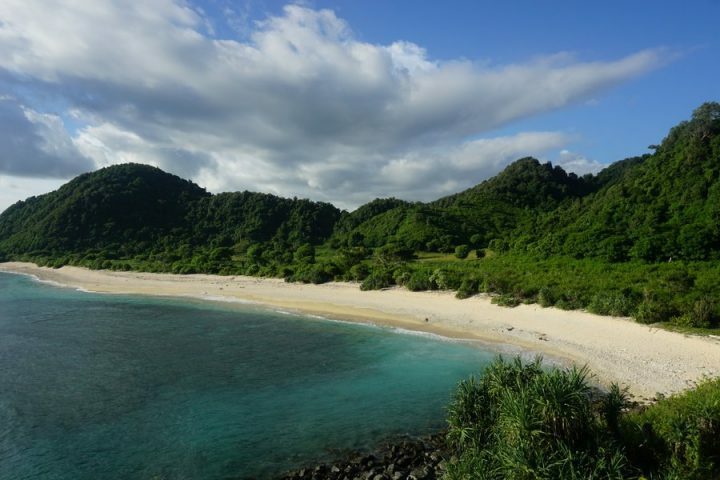 Island hopping here is one of the most popular things to do in Lombok, and for good reason. These postcard-worthy islands are absolutely beautiful and offer a lot of activities. But which one to choose? Gili Trawangan (or Gili Tra-la-la as some like to call it) is often referred to as the party island, and it’s also the biggest. Here you’ll find the most options for accommodation, dining, and nightlife. Gili Meno is definitely the middle child and is often overlooked as simply being for families and honeymooners. Gili Air is a nice balance, as it’s a bit quieter than Gili T but more exciting than Meno. Rather than choose one, why not try all three to pick your favorite? Mataram is not only the largest city on the island, but it’s also the capital of the greater West Nusa Tenggara province that Lombok is a part of. Although it’s often overlooked by travelers who would rather jet to the Gilis or get on with their Rinjani trek, there’s enough to see and do here to at least warrant a day trip. Visit the beautiful Narmada Park, which has lovely terraced gardens and an actual fountain of youth. It’s believed that drinking from it will give you long life. 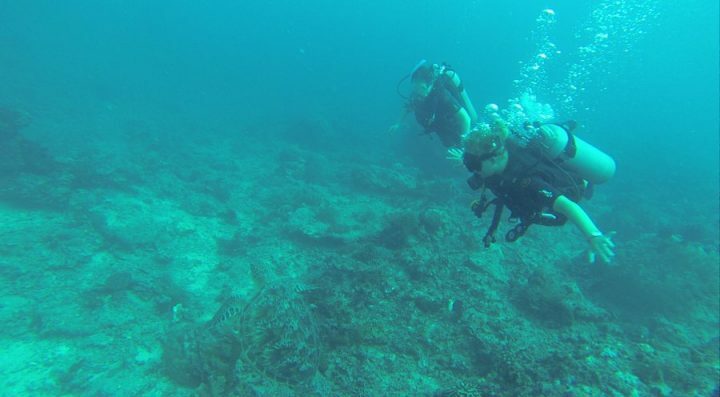 The Gili Islands offer excellent scuba diving and snorkeling opportunities. There are around 25 dive sites around the islands, with great options for both beginners and more advanced divers. You may encounter white-tip sharks, sea turtles, lion fish, and manta rays on your dive. If you’re looking to get scuba certified for the first time or pick up extra certifications, the Gilis are the perfect place to do it. Tons of turtles to swim with around the Gilis. If diving isn’t your thing, just pick up a snorkel mask and go. There’s no need to take a tour to go snorkeling here, as you can see plenty of marine life just off shore. Those who don’t plan on visiting multiple islands may want to sign up for a tour, though, as you’ll get to hit a few different spots for snorkeling and stop at another island for lunch. A day in the water is definitely one of the best things to do in Lombok. When traveling around Lombok, be sure to sample the local specialty. Ayam taliwang is a delicious spicy grilled chicken dish that can be found all over the island. After the chicken has been cooked for a few minutes, it’s dipped in a sauce of garlic, chili, and shrimp paste and then grilled to perfection. This local classic will ignite your taste buds and fill you up without burning through too many rupiah, making it one of the tastiest things to do in Lombok. There are so many ways that Lombok is different from Bali, and Kuta is a prime example. Kuta, Bali is an overcrowded, super touristy dump full of chain restaurants, con artists, and crappy bars (sorry, not sorry). Kuta, Lombok is a chilled out town full of great local joints and surrounded by incredible, untouched beaches. This, my friends, is the good Kuta. Nothing like the other Kuta. Now that the Lombok airport moved from the capital to the town of Praya in the south, Kuta is much more accessible. It’s now a mere 30-minute drive from the arrivals hall to the beachfront, where you can base yourself for a few days of beach hopping and low-key partying. Visiting Kuta is one of the best things to do in Lombok, while it’s one of the worst in Bali. Funny how that works out. Check out the “Streets, Beats & Eats” of Kuta, Lombok. Each island in Indonesian has its own unique culture, and Lombok is no different. The Sasak people make up about 85% of the island’s population and they are predominantly Muslim. Sasak villages are known for their traditional houses and their beautiful textiles. Set aside at least one day of your Lombok adventure to join a tour visiting local villages to learn about the Sasak way of life. 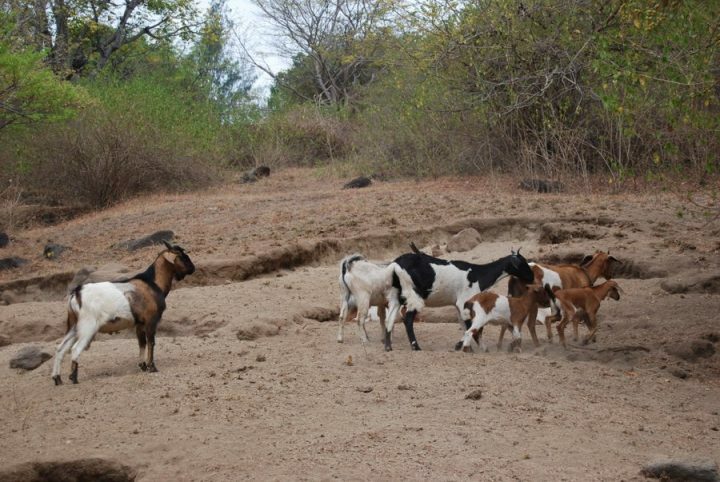 Flashback to the Goats surfing in Lombok! Bali may be a legendary surfing destination, but it’s not the only island in Indonesia with epic waves. Whether you’re a total beginner or a pro, there’s a surf spot for you in Lombok. If you don’t have a board, there are plenty of places that rent them out. There’s far less competition for the waves than there is in Bali as well, so get out there and carve it up! Australia may have coined the name, but Lombok is definitely a surfer’s paradise as well. In the local Sasak language, gili means “island,” and there are more than three of them surrounding Lombok. From the main port at Lembar, you can catch a boat to explore several other “secret” Gili Islands. If you’d rather find peace and quiet than partying backpackers, you’ll immediately fall in love with these sparsely visited islands. As these islands are tiny and have very little infrastructure, there isn’t regular boat service available. 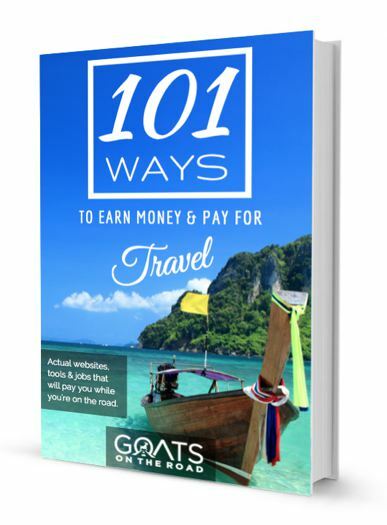 You’ll have to hire a boat for a day trip or arrange for your hotel to bring you out there. Of the lesser-known Gili Islands, you have the most choice for accommodation on Gili Gede. Other options include Gili Nanggu and Gili Asahan. Get here before the crowds do and enjoy the slow pace of island life. 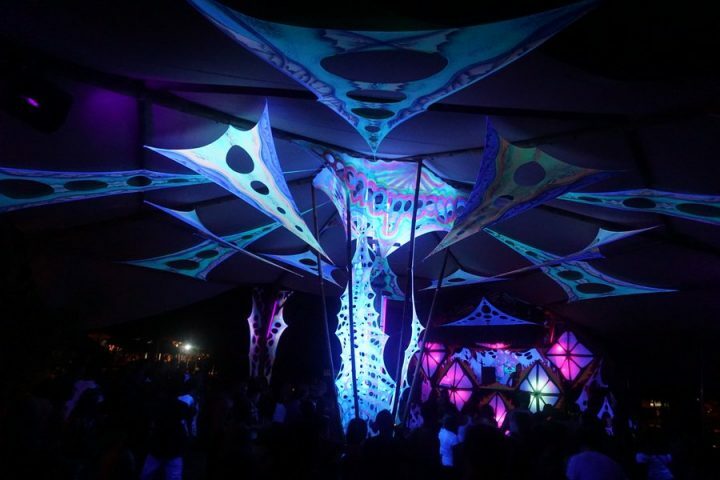 Although Gili T may have the reputation as the party island, Gili Air is fast becoming the island of festivals. When Bali celebrates its day of silence on the traditional Nyepi holiday, boatloads of travelers flock to the tiny island for a weekend of revelry on the beach. It may be silent on Bali, but the music is pumping on Gili Air. Dancing the night away at Burning Island. It’s also hosted the Burning Island event, and the Air Festival will bring another party to its shores next Easter weekend. There are few things better in life than dancing barefoot in the sand with a fresh coconut in hand. Ok, I take that back. You can fill the coconut with rum. That’s definitely better. Hitting a music festival with a coco-rum-onut is easily one of the best things to do in Lombok. If you’re looking for a good souvenir or a special gift to take home, get out there and do some pearl shopping. Lombok is known as one of the best producers of pearls in the world. Both freshwater pearls and the highly sought after South Sea pearls are available here. You can even find the iconic gold pearls, which are produced from the gold-lipped oyster. Just be sure you know how to judge the quality or shop with someone who does. Many people in Lombok make their living fishing, and they’re more than happy to supplement their income by bringing you along for the ride. It’s easy to arrange a half or even a full-day outing in a traditional wooden boat. You might catch some Spanish mackerel, tuna, or mahi-mahi, to name a few. Even if you don’t catch anything, it’s still one of the most fun things to do in Lombok. You know what they say – a bad day of fishing is still better than a good day at the office! Sorry TLC, but we can’t heed your words of wisdom when traveling on this island. Near the base of Mt. 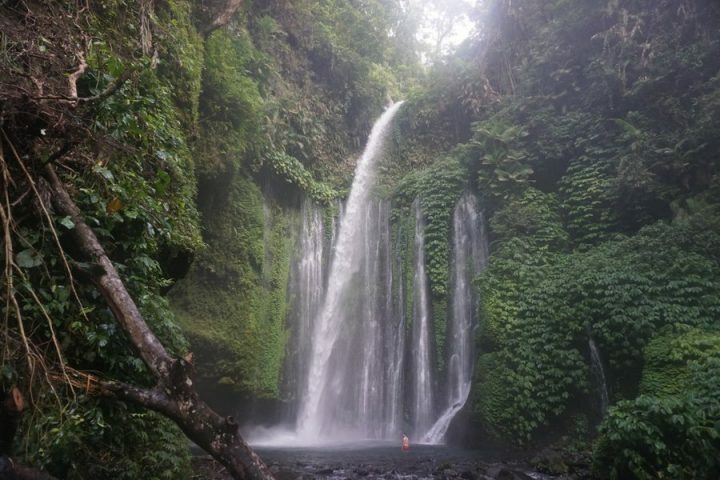 Rinjani, you can take a relatively easy 30-minute hike to reach two stunning waterfalls. Along the way, you’ll enjoy the lush green scenery that surrounds. Just beware of naughty monkeys that line the trail and don’t agitate them. Sendang Gile is a nice warmup for the bigger Tui Kelep, where you can go for a swim to cool off. A great place to cool down. These waterfalls are easily visited before you begin your Mt. 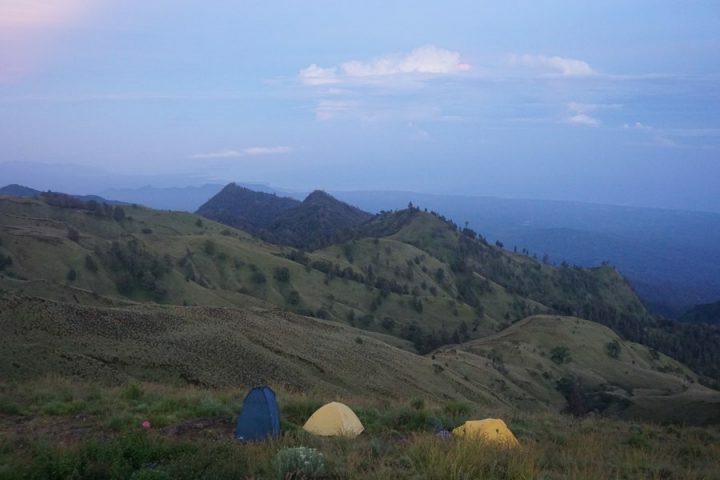 Rinjani trek. From other points on the island, there are several other waterfalls for you to explore. Many tours make stops at waterfalls, and you can also visit on your own with a rented motorbike. Speaking of motorbikes, let’s get to our last point and move this journey along. If you love feeling the wind hit your face as you watch local life go by from a motorbike, then a trip across Indonesia should be high on your list. One of the most popular motorbike trips in Southeast Asia is to rent a bike in Bali and ride it across Lombok, Sumbawa, and Flores. 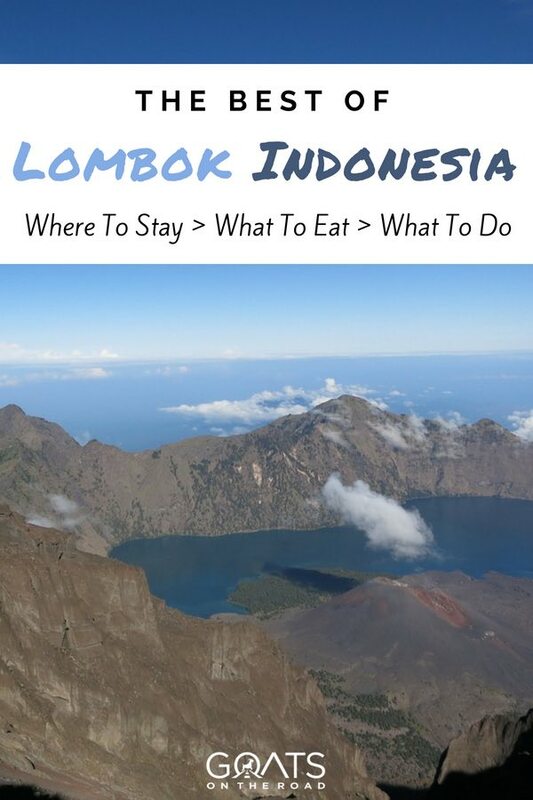 With your own two wheels, you can check off all of these awesome things to do in Lombok and more on a few other islands. Just be sure you have all of your papers in order for putting the bike on ferries to avoid being turned around. If you’ve got the green light, you’re ready to explore beaches, volcanoes, rice paddies, temples, waterfalls, and so much more. Every Indonesian island is a new adventure, and there’s no better way to explore them than with a motorbike. Look! Real life Goats on the Road! 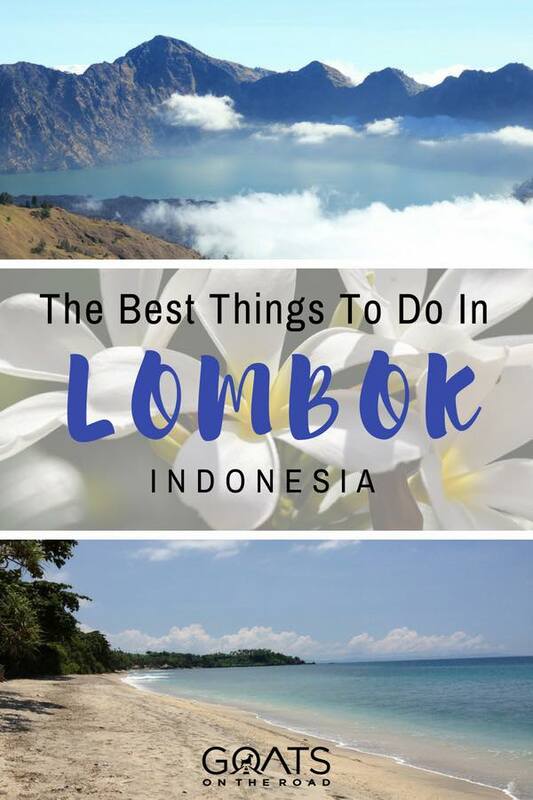 As you can see, there are plenty of reasons to add a visit to Lombok to your Indonesia itinerary. With trekking, fishing, cycling, diving, and surfing, this is the perfect place for the adventure junkie in you. Afterwards, you’ve got plenty of stunning beaches to relax on as well as tons of options for wining and dining. Bali may get all the hype when it comes to traveling in Indonesia, and it has the crowds to match. Escape over to Lombok for a while and you won’t regret it. 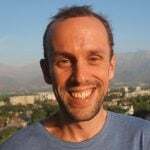 This is really very informative blog, Thank you for sharing.